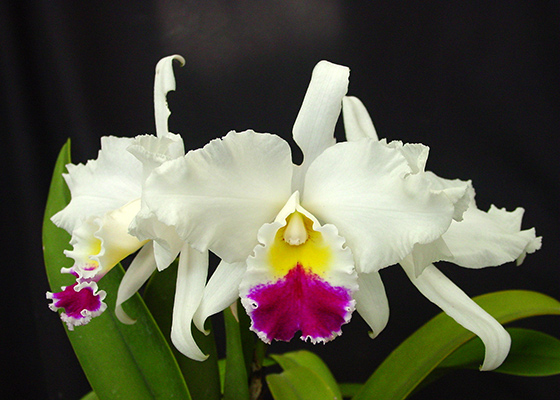 A lovely large flowered temperature tolerant Cattleya. Petals are clear white, the lip bright magenta, yellow, and white. Overall plant height is about 20”. Parentage is unrecorded.Temperature Tolerant. May blooming.